Mathematics is everywhere around the world. We observe it rarely and enjoy nature instead of understanding the mathematical concept behind it. Below are some examples which exhibit Math in Nature beautifully. The Italian mathematician Leonardo Pisano Bigollo, born in Pisa was also known as Fibonacci. French historian Guillaume Libri gave the name Fibonacci to Leonardo. 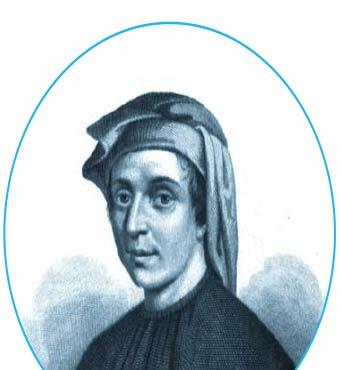 Leonardo introduced a unique sequence of numbers that was then named the Fibonacci series or sequence after him. Fibonacci introduced to the world a sequence of numbers, that start with zero and one, and the next number in the series is obtained by the addition of the first two numbers. Zero and one when added gave one. 1 added to 1 gave 2, the fourth number in the series, and then 2 added to 1 gave 3, then 3 added to 2 gave 5 and simply put, adding the last two numbers gave the next one till infinity. So, the series would be 0,1,1,2,3,5,8,13,21,34 and so on. When these numbers are represented in a diagram form, it is called The Golden Ratio. The Fibonacci sequence became famous because patterns were found in nature that followed this sequence. In a particular kind of seashell called the Nautilus shell the size of the spirals in the shell, when measured in proportion to the previous one, follow the Fibonacci sequence. A Greek mathematician, Phidias, developed the golden ratio diagram that illustrates the Fibonacci sequence. When this is superimposed on the shell, we can see the spiral in the shell, grows from smallest at the centre to be bigger as it gets towards the shell’s opening. 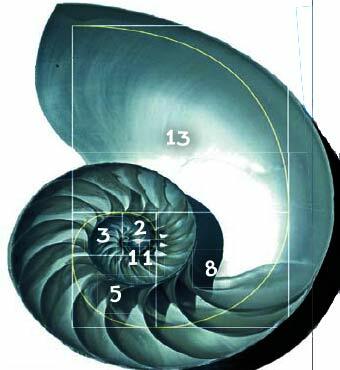 The spirals of the shell follow the Fibonacci sequence. Latin word Nautilus means sailor. It is a marine mollusk (a shellfish) that is found only in the Indo-Pacific waters. They “live among the deep slopes of the coral reefs. The shell structure of the Nautilus has been unchanged more or less, for millions of years. Belonging to the cephalopod family (symmetrical and soft-bodied sea creatures), the shape of the chambers in the shell matches the Fibonacci sequence. 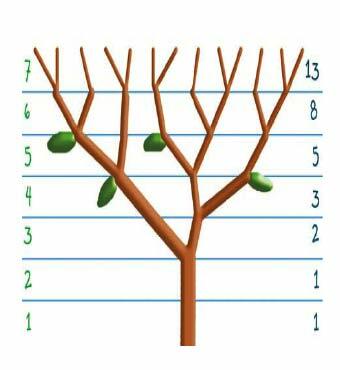 Fibonacci sequence is found in the way trees grow. Unlike a mess of tangled branches, we see a pattern in the way the number of new branches that sprout from the previous branch. In the diagram, if we consider the trunk as one, then we can see how two branches form, then three, followed by five branches and so on. The number of branches keeps on increasing as long as the tree continues to grow. Hurricanes also display the Fibonacci sequence in their formation. 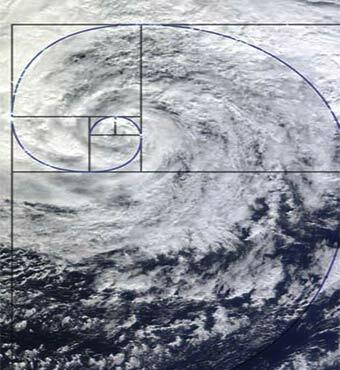 When we superimpose the golden ratio diagram over a satellite image of a hurricane, the way the hurricane spirals out again matches the number ratio of the Fibonacci sequence. In this case, a lot of factors make it look like that, the way the wind blows, air temperature, air pressure and so on. It’s just another manner in which mathematics expresses itself in nature. 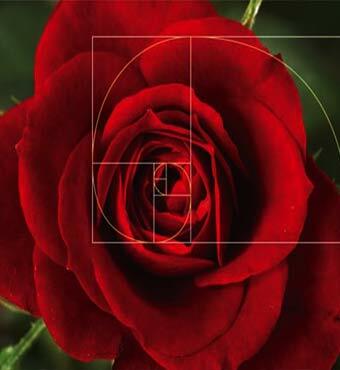 Fibonacci sequence is also seen in the way the rose petals are delicately wrapped around each other from the time it’s a rosebud till the time the rose is fully in bloom. No one really knows why this pattern is followed, but it just does. There is order even in chaos.